As we age, our facial skin loosens and wrinkles and the muscles of the neck may weaken as well. Anything that will cause the skin to lose elasticity will hasten the process, including sun exposure, smoking, weight fluctuations and heredity. A face lift can address these problems by firming and tightening the skin and muscles of the face and neck all in one step. It is most effective for the lower face (jowls and neck). A double chin can be improved at the same time by a surgical procedure called supplemental lipectomy. To effect a more complete facial rejuvenation, face lifts are frequently done at our Binghamton practice in conjunction with other procedures such as upper eyelid blepharoplasty and lower eyelid blepharoplasty. Dr. Walker may also recommend injections of fillers or Botox for deep creases in your forehead or frown lines between your eyebrows. Contrary to popular beliefs, the texture of the skin will not be changed by a face lift. Acne scars, age spots, fine lines and smoker's creases will soon return to their original texture, no matter how tight the skin is pulled. A face lift will not give someone beautiful skin unless they have beautiful skin to begin with. However, skin treatments such as laser resurfacing, microdermabrasion, Biomedic skin care, Titan, IPL, or Genesis Laser, or chemical resurfacing can be used in combination with a face lift to improve the texture of the skin and smooth wrinkles, decrease discoloration and pore size and redness. For more detailed information about how this procedure may help you, we recommend that you call our office for a consultation with Dr. Walker. While this procedure cannot stop the aging process, it can often make a person appear to be a decade younger than their actual age. Face lifts are the fifth most commonly performed plastic surgery procedure in the United States. During the initial consultation, you and Dr. Walker will discuss the changes that you would like to make in your appearance. He will explain the different options available to you, the procedure itself, and its risks and limitations. He will also explain the kind of anesthesia required, surgical facility, and costs. This surgery is performed in the hospital ambulatory surgery area, under light sedation by mouth, as an outpatient. The incision for your face lift usually begins in the hair near the temple and continues in front of the ear, around the ear lobe, behind the ear and into the hair. Incision choices are adjusted depending on the patient's hair style and type. The muscles and sagging tissue are tightened, the under layers are defatted, excess skin is removed, and the remaining skin is repositioned to create a more youthful look. The muscle layer beneath the skin (the SMAS) is pulled laterally and sutured behind the ear to tighten the neck. Sometimes an incision is utilized under the chin to gain access to tighten the muscles in the midline of the neck. All of the incisions are closed with deep (dissolvable) and superficial (removable) sutures. Liposuction is often utilized. Mini and Extended mini face lifts are also employed when possible and appropriate. In these cases smaller incisions can be used, and less skin is removed. A face lift takes an average of four to six hours and is performed using local anesthesia with sedation by mouth. Face lift is performed in an ambulatory operating room setting in the hospital. Most patients go home the same day as their surgery. There is an option to stay in hospital overnight for a nominal fee if you would prefer. Patients usually look and feel well quickly after a face lift. Despite the fact that it is a large operation, there is usually very little pain. Swelling disappears within several days, and bruises are usually gone by two weeks. Patients generally feel a sense of tightness and numbness that should gradually return to normal within several weeks to a month after surgery. It is important to follow a careful plan on return to strenuous activity, in order to avoid tension on the wound (which could lead to worse scarring). Scars are often hidden within your hair and in the normal skin creases. The scars will remain pink for a few months before maturing to less visible white scars, but can be hidden with makeup. After recovery, patients can expect a more rested and often youthful appearance. Although a face lift lasts forever, patients continue to age. Therefore, it is impossible to predict how long it might be before an individual would consider a second lift. Some believe that a face lift also helps prevent the skin from sagging again by holding it tighter to the face. The results of a face lift are different for each person. The people who look best after a face lift are those who looked the best before the procedure. Some people have one face lift in a lifetime, while others have a second surgery 7 - 15 years later. Who is the Ideal Candidate for a Face Lift? The above is only a partial list of the criteria that Dr. Walker will consider in determining whether or not this procedure is appropriate for you. Dr. Walker recommends everyone, and especially those considering face lift, to start on some kind of skin conditioning program. This entails exfoliation and some kind of retinal product. 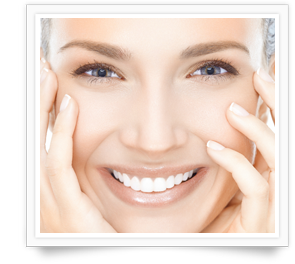 Our office has used Biomedic Skin Care programs since 1992 with great results and satisfaction. What are the potential risks involved with having a face lift? A face lift is a surgical procedure, subject to all of the usual problems that accompany surgery. Bleeding from the cut tissues, leading to bruising and possible accumulations of blood under the skin, is unavoidable in any surgery. It is a tribute to the great skill of today's surgeons that these problems are usually kept to a minimum. Infection can also occur any time the skin is cut, but again this is uncommon. Other risks and complications will be discussed during your consultation. In order to minimize these risks, it is important that you follow all of your instructions, both before and after surgery.